Excellent production quality - as good as if not better than that of competitors. No Y connector. This allows for the user to change directional vectors with varying widths. Has the ability to interlink and wall mount. One of the biggest advantageous is perhaps the high quality plastic handles and stirrups. This design is very easy to clean after use which is a big plus for hygiene. Also, since the handles and stirrups are made from high quality plastic, there is no need to replace foam from wear and tear. 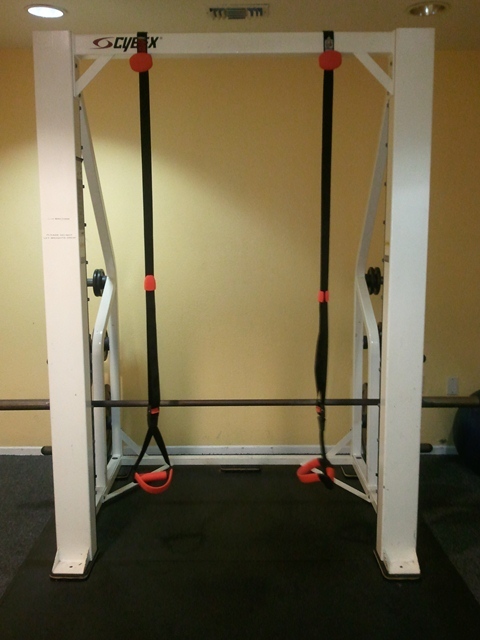 Example of mounting the system for wide grip and traditional narrow vectors of pull. As you can see, the handles and stirrups are made from high quality, semi-rigid plastic. Just one that I saw: no carrying bag - solution... I use a small gym bag. Suspension training is much like kettlebells; simple tool, solid science. Technology is always subservient to foundational concepts. 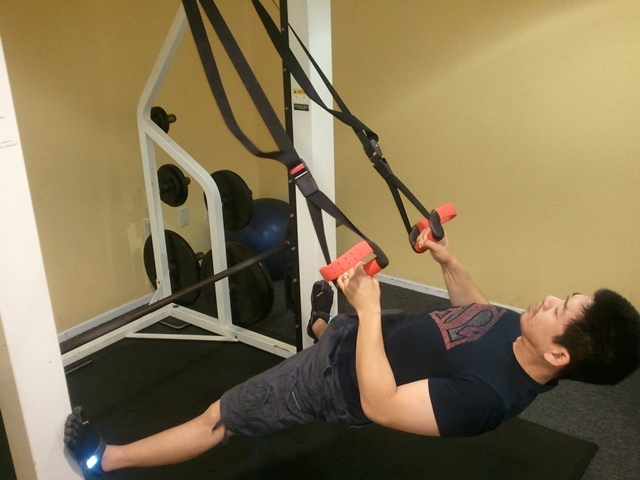 The foundational concepts of suspension training revolves around lever arms, distance, angle, and gravity. Resistance in suspension training holds its maximum in one’s available body weight, minimized with increasing angles to horizontal (ie. gravity eliminated active range of motion). 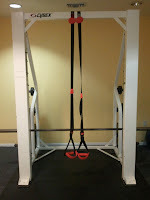 Suspension training is ideal for core stability, control, kinesthetic awareness, and is excellent for shoulder dynamics. With a mirror, I found it to be a great tool for individuals with poor biomechanical/postural awareness. Finally, suspension training tends to be on the weaker side in terms of resistance for lower extremities because the hardest exercise one can perform in terms of gravitational load is single leg activities. 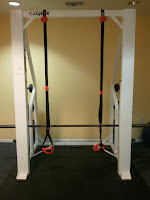 Generally, it is very hard to injury yourself during suspension training unless you are overtraining or face planting. 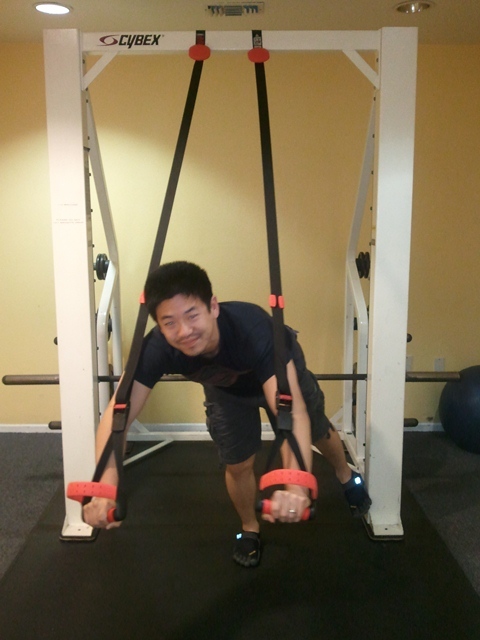 However, the maximum resistance is still limited to body weight and gravity. There is definitely a coolness factor to it as you’ve probably seen pairs or small groups of individuals at a park, working out with suspension devices from trees, poles, pull up bars, etc. 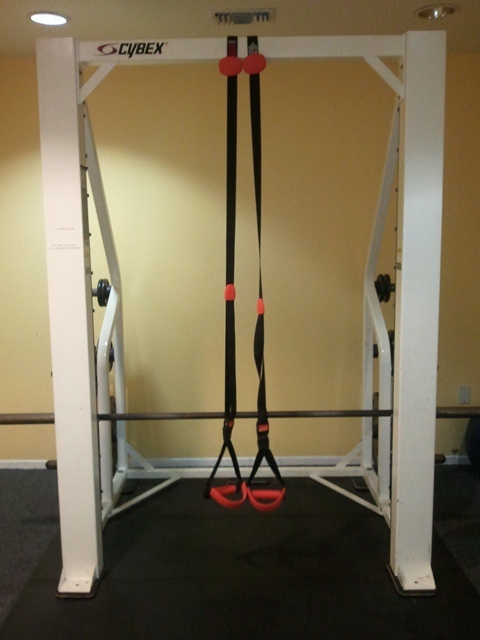 In any case, suspension training is a tool I’ve been increasing integrating into my practice, and, I hope that this review of the Jungle Gym XT has been helpful for you.